A set of 5 chalkboard spout signs to display the variety of oils you have. 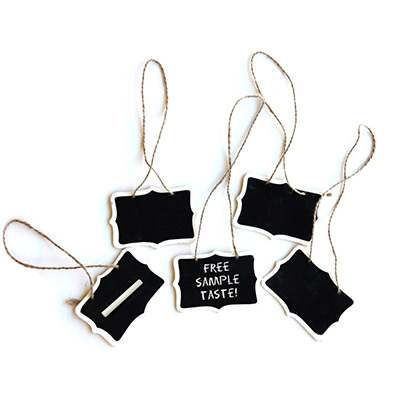 Includes - Hanging Spout Chalkboard Signs, all natural hemp twine. Set of 5. Chalk included. From Anonymous of Denver, Colorado on 9/1/2016 .